Web leads B2B, SEO, advanced web analytics, social media, form tracking, intuitive reports and much more. Get a complete overview of your rankings in Google search results, as well as those of other search engines. You can even group your keywords for more detailed insights – and keep track of your competitors’ rankings for each keyword. 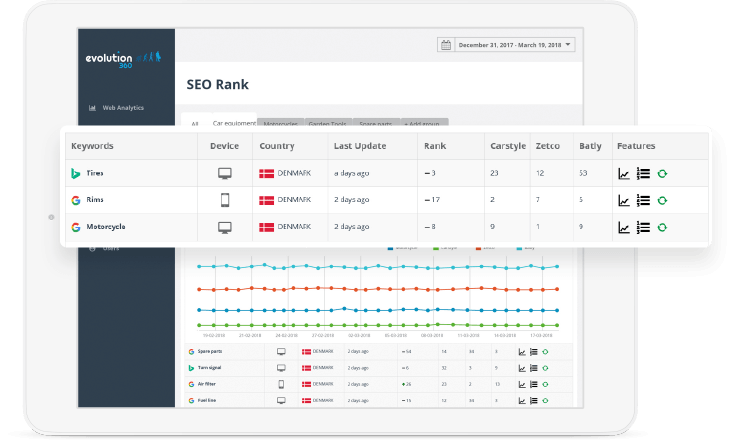 Evolution360 is integrated with Google Search Console, so you can add keywords flexibly and easily and monitor the keywords that drive traffic to your website. Evolution360 gives you a complete overview of your profile pages on social media with details on likes, demographics and reach of each individual post. 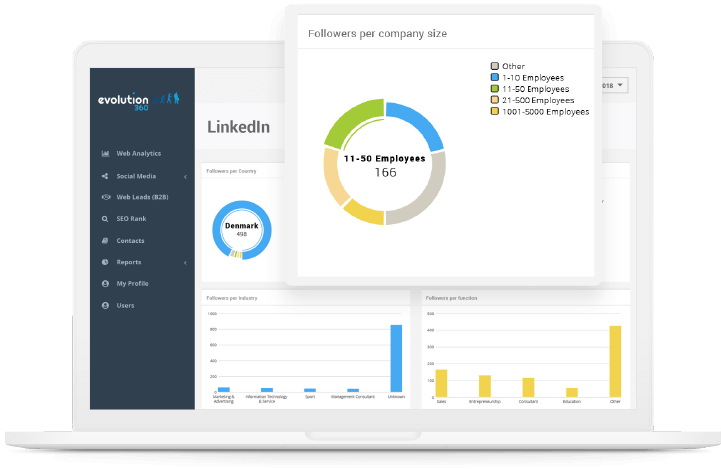 Connect to your social media channels and obtain an all-in-one overview. See which posts works best and have the highest engagement with your users. Monitor trends in likes, clicks, impressions, shares and comments to stay updated on your SoMe presence at all times. 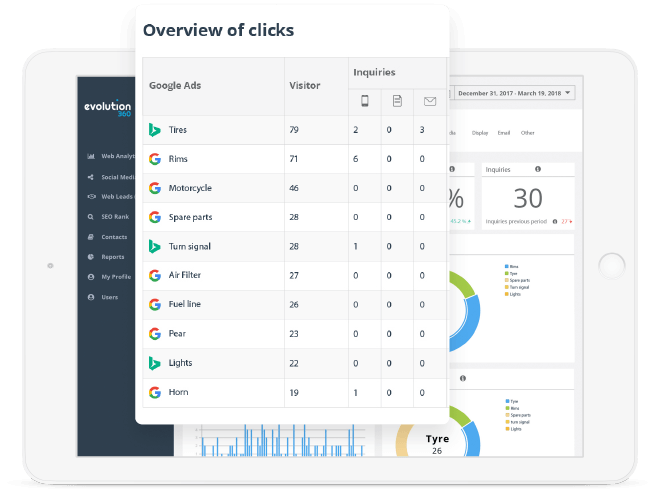 Evolution360 gives you access to indispensable web analytics data, so you can track how your website performs. Learn how users reach to your website, how they use it, how your different channels perform and much more. Evolution360 is integrated with all your favorite tools, including Google Analytics, and displays your data in a clear and intuitive way. 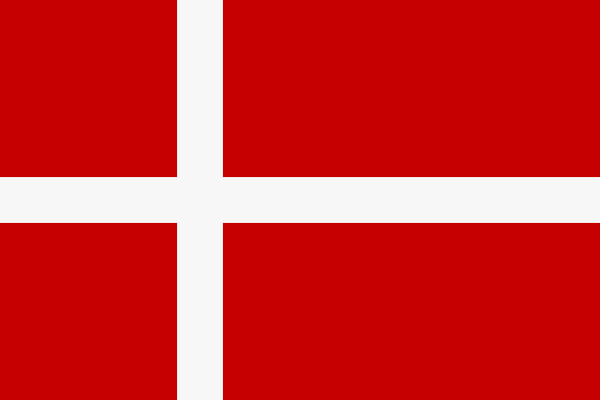 Our unique tracking technology gives you access to simple monitoring of your users’ actions on your website. Evolution360 provides a complete overview of every form that has been completed and submitted via your website, putting an end to all those unanswered inquiries from your website piling up in your inbox. You can also see which marketing channel generated each inquiry. 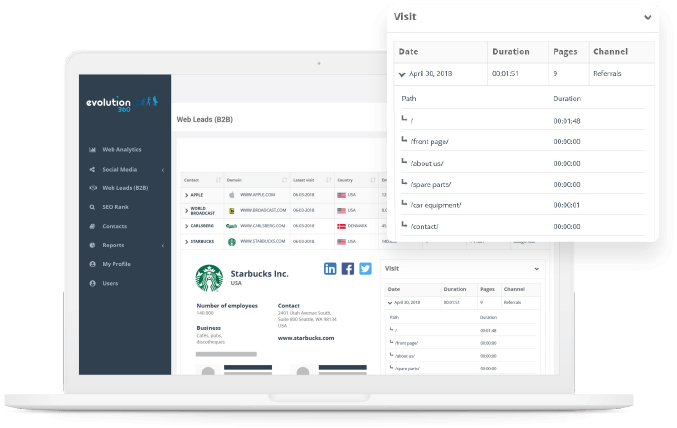 Our web form overview allows you to trace inquiries back to the individual marketing medium, making it easy to evaluate the performance and ROI of your marketing campaigns. 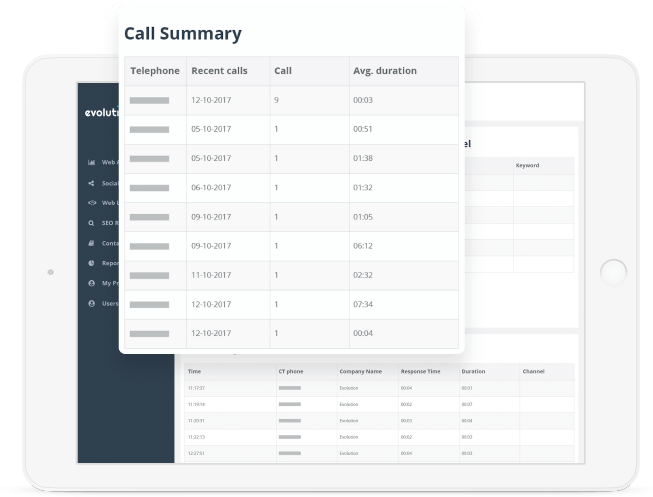 Call tracking shows you which traffic channel your phone call came from. 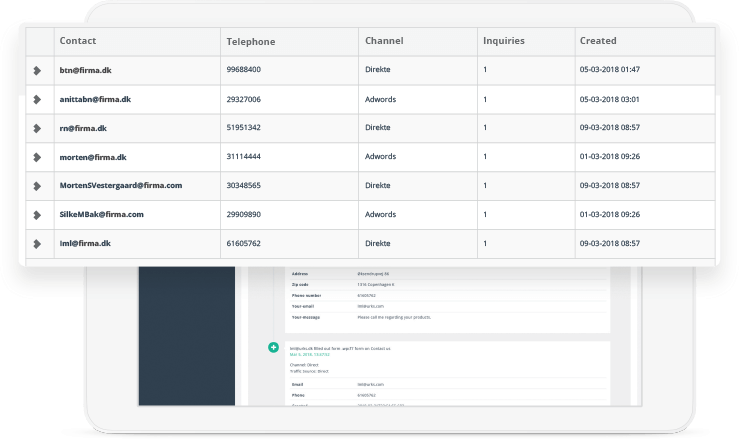 With Evolution360 Call Tracking, you can carry out in-depth analyses to determine which traffic channels and specific campaigns generate concrete inquiries. This allows you to target your campaigns better and optimize your marketing activities for a stronger ROI.